News Posted in Football, Sport and tagged football, Lions, Pagham, sport. Pagham joint-boss Tom Simmonds believes competition will be as fierce as ever as the Lions kick off their SCFL Premier campaign tomorrow. A trip to Peacehaven & Telscombe (3pm) is first up for the Nyetimber Lane side as they look to go one better than the third place finish last time out. Pagham will then make their home bow just a few days later when they welcome Lancing to the Lane on Tuesday (7.30pm). With the top two going up into the Bostik South, the Lions know competition for those spots will tough. 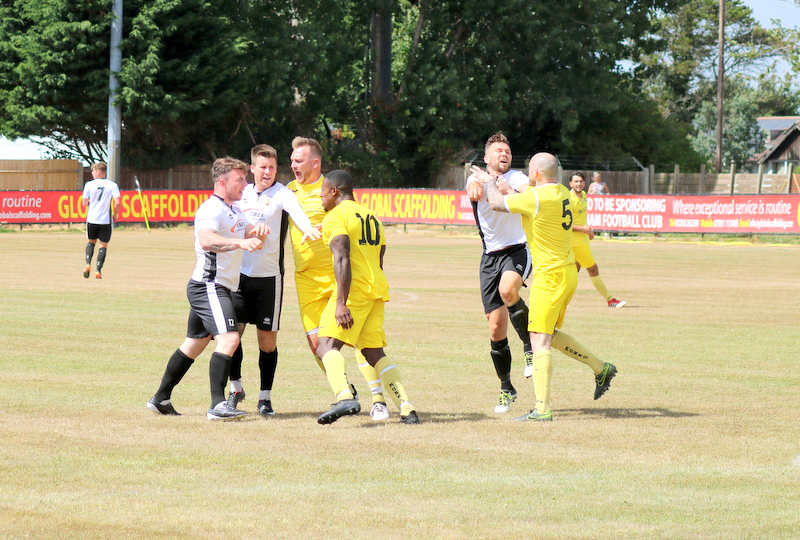 Pagham finished their pre-season preparations with a feisty 2-1 loss to Wessex Premier side Hamble last weekend. That was followed by a spirited showing against Bostik Premier Whitehawk on Tuesday, which resulted in a 4-3 loss. Posted in Football, Sport and tagged football, Lions, Pagham, sport.